Choose fabric to reupholster dining room chairs and buy new placemats. I did buy the fabric for our chairs, but no placemats yet. I looked at a couple of places but didn't find any I liked. The search is still on. Improve my blog's navigation. I'm still working on this. Maru of Fashiony Fab, who did my blog redesign last year, has been kind enough to give me some assistance with this. Hopefully I'll have something figured out soon so posts are easier to find. Finish my Minneapolis photo album. This is done! Stay tuned for a post on this--Alexandra of Simply Alexandra and I are planning to do a little Project Life collaboration post soon. Reupholster dining room chairs. I have the fabric, now I just need to do the actual work. I hear it's easy... I'm hoping that's true! Create a loose blogging schedule. I say "loose schedule" because setting a schedule for myself is a dangerous thing--I often feel like I absolutely must follow it. Instead, I'd like to list all the blog-related things I would like to accomplish in a given week beyond just creating content (e.g. promoting my posts, responding to blog-related emails, making my posts more SEO-friendly, etc.) and then each week set aside some time to do those things. Reinstate a weekly Power Hour a la Gretchen Rubin. I used to do this but over the last year or so I got out of the habit. The idea is to set aside an hour regularly to check-off tasks that aren't time sensitive and therefore never make it to the top of the day's priorities. On my list I have things like wash my makeup brushes, drop off some items at Goodwill, and organize photos. 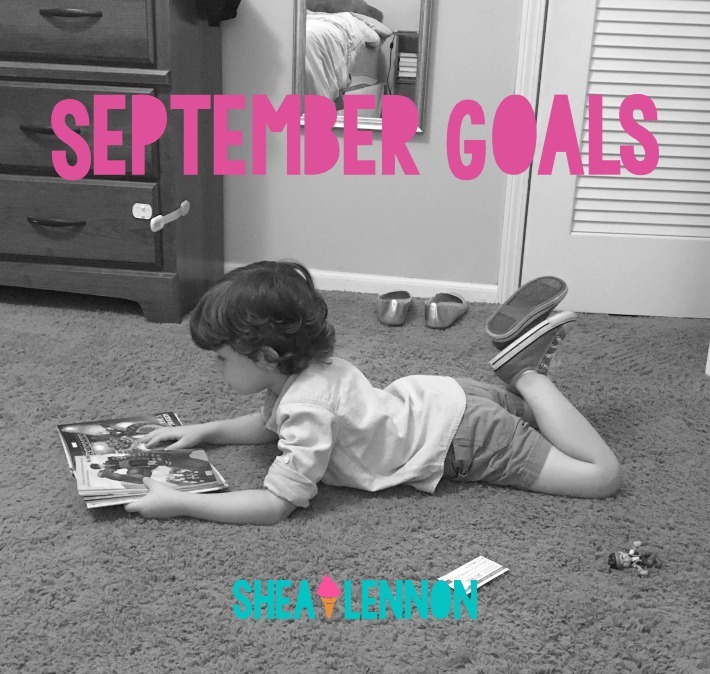 What would you like to get accomplished this month?